You would think the Pet Detective would have had his fill of non-human co-stars. At the titular (human) character in "Mr. Popper’s Penguins," the film adaptation of the classic 1938 children’s book, Jim Carrey admits that even after two "Ace Ventura" films, he’s more than happy to share the screen again with animal actors – particularly the six Gentoo penguins who headline alongside him. "I loved working with the real penguins," says Carrey, who plays a divorced dad whose life is upended when he inherits the Antarctic birds. "Animatronic penguins were a little issue, because everybody has a cell phone or some kind of plate in their head or whatever these days. Some kind of electronic gizmo, iPads and things coming out of everywhere, and so you get guys on joysticks going, 'Is that you? It's not me. Is that you?' You know kind of, 'Why is his arm moving?' So we opted for a lot of CG stuff. But most of it is real penguins, because I love working with animals. I kind of like to join their energy." "Often times we'd come in on the set and they wouldn't be there," he says of his half-dozen co-stars. "We'd be ready to work with the Xs on the floor or the little tennis balls or whatever it is, and you'd hear them off in the distance in their habitat. They'd be interrupting the dialogue anyway, so I’d go, 'They might as well all be here – bring them on in!' And a lot of times we did that at the last minute." Carrey discovered an affinity for the furred and feathered early in his life. "I wanted to be a veterinarian for about a week of my life when I was a kid," he says, "but then I found out about the whole euthanasia thing. I said, 'Can't commit to that. Sorry. Can't do it.' But really since the very beginning I looked at my father and he was commanding the room. Every time we had people over he stood in the middle of the room and people were just astounded at his creativity and his animation when he told a story. And there was no choice for me. I was just like, 'That's how I'm going to get over in the world. I want to be that guy.'" The actor eventually chose an even bigger room to work, gravitating to standup comedy and honing the free-form improv ability that would inform so much of his most enduring film work – and prep him early on for sharing scenes with penguins. "It certainly makes you more comfortable with yourself and comfortable being creative in the moment," he says. "Working with the penguins you can have a plan, but they're going to do what they're going to do and you have to be kind of on your feet. So it's all great training. When I used to go up and do standup, I would think of it as training, going out night after night without a plan at the Comedy Store. And two-thirds of the time people would throw chairs at me. And a third of the time it would be a flow that was really kind of God-given, kind of like you felt lucky to be part of, and that made me comfortable." 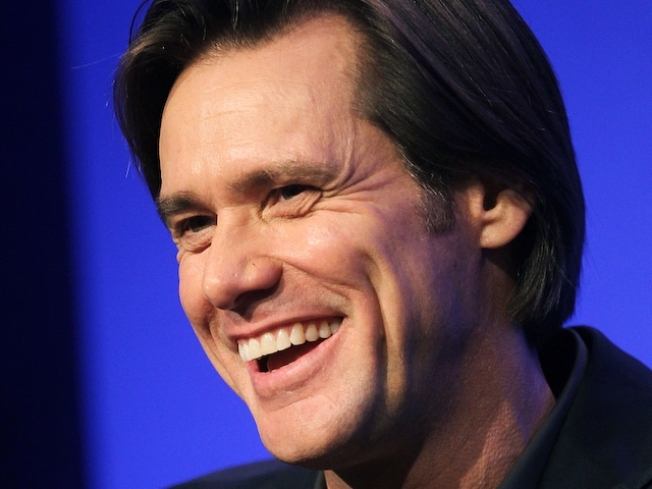 Carrey revisits some of the rubber-faced dynamics that fueled his early career in the film, though he admits the mechanics are sometimes as awkward-looking as those errant animatronic birds. "My face kind of operates on its own nowadays," he says. "It just kind of does what it wants to do. Sometimes it's appropriate and sometimes it's not. And sometimes in the editing room we'll go like, 'That's not human. We'll wanna take that out.’ ‘Wait a second – eyebrows aren't supposed to be able to do that! That's going to distract people.' But I find I'm still doing little tricks and fun things that I created when I was ten years old. All of it comes into play. And the play you do when you're a kid is so super-important. I'm so lucky that my life didn't get turned upside down until I was 11, because I had a lot of great play and a lot of creativity that still comes into play for me." Still, while he had a nice professional rapport with his penguin colleagues, he laments that the friendship hasn’t endured since the film wrapped. "Still they don’t call me," he sighs. "I don't know what it is. I mean, I gave them the number."